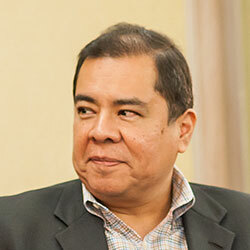 Cesar Salas - WorldCity, Inc.
Cesar has more than 30 years of global human resources experience in Fortune 100 companies in the Information Technology, Life Sciences and Consumer Products industries. During that time, he has held executive level HR positions with responsibility in the Americas, Europe and Asia. Cesar is Hamburg Sud’s Head of Human Resources, Administration, Compliance and Quality, for the Caribbean and Latin America Southwest Coast Region. Hamburg Süd is a German container shipping company with its Latin Americas operations based in Miami, with responsibility for more than 1,000 employees in 17 countries. A native of Peru, Cesar holds a Bachelor of Science in Industrial Engineering from Universidad de Lima and a Masters in Business Administration from Universidad ESAN in Peru. In addition, he is a Senior Certified Professional from the Society of Human Resources Management (SHRM-SCP).